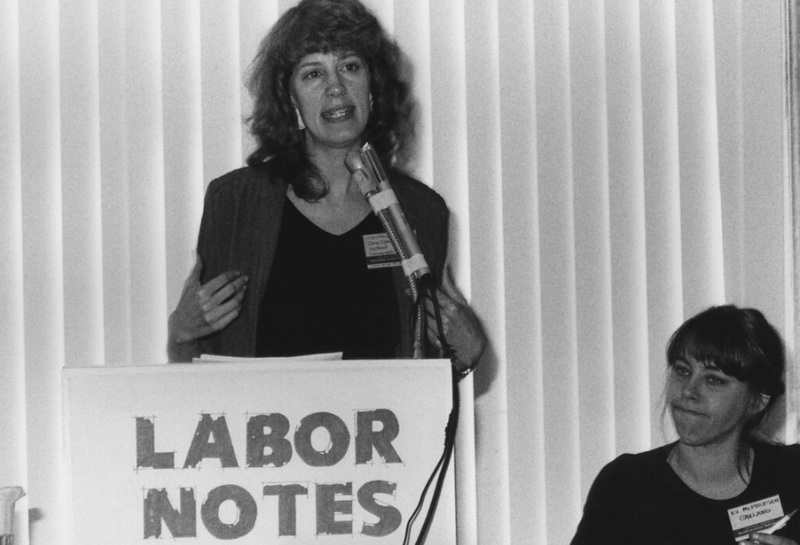 In the entire course of North American labor history, Labor Notes, now celebrating forty years of existence, is by far the most durable, and one of the most successful, interventions by activists who have come out of an explicitly socialist tradition. So what accounts for the unique longevity and the growing impact of Labor Notes and the democratic and militant current it has embodied within the larger labor movement? First, the founders of Labor Notes understood the problems confronting them and the larger labor movement better than the union leaders of whom they were so frequently critical and certainly better than the academics, radical or old-school, who spun endless theories of labor’s place in American society. In the years before 1979, many of those who would later found Labor Notes were members of the Trotskyist group International Socialists, later merged into Solidarity. They published a newspaper called Workers’ Power, designed to move its working-class readers from “union consciousness” — which presumably they already enjoyed — to class consciousness and then a revolutionary understanding of the world. If socialists were to have any influence, “we had to create a lake to swim in,” recalls Mike Parker, an early Labor Notes writer. Kim Moody, an early staffer, called its constituency “the militant minority,” a phrase also used by labor historian David Montgomery when describing the activist layer that made possible the great strike wave before and during World War I. And this is why Labor Notes emphasized the mobilization of workers — not to seek the ouster of existing union officials (although when reform movements emerged or grew in the Teamsters, the UAW, and other unions, Labor Notes supported them), but rather to participate in organizing drives, contract campaigns, work stoppages, and strikes, sanctioned or otherwise. Such a strategy proved essential in an era when conservative forces were ascendant and when, to put it charitably, the leadership of most big unions proved inadequate to the challenges that were steadily shrinking both the power and membership of the organizations over which they presided. An equally important fight, and one even more difficult to wage, came when Labor Notes offered a sharp critique of the corporate-sponsored Quality Circles and Team Production initiatives that even some top unionists and many academic experts thought central to a new and cooperative industrial relations regime.